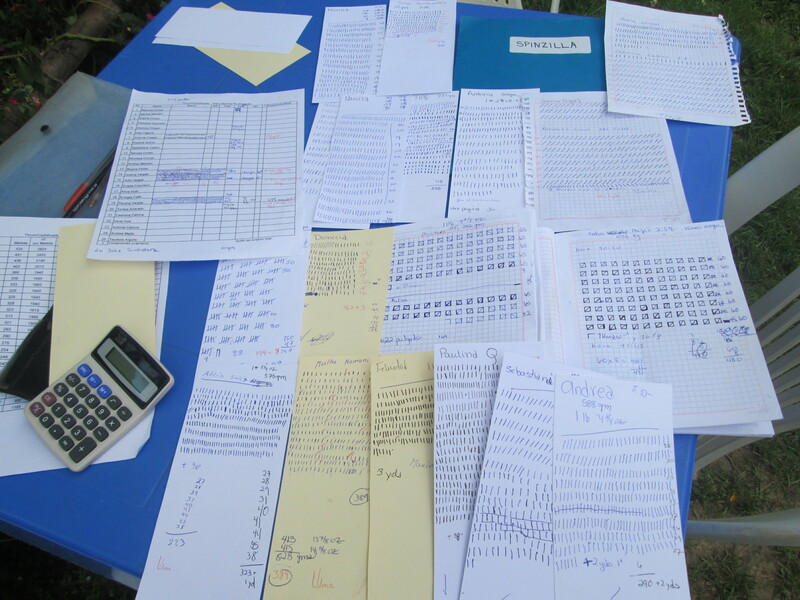 By noon of Sunday, October 12th we only lacked the measured yardage of yarn spun during Spinzilla Week for the 4 women in the rural community of Sanipaya. On Monday morning Doña Máxima and I loaded up into the backseat of the pickup which we´d contracted. Samuel Cortez, our driver, is the son of one of the Huancarani spinners featured in our Spinzilla video. His aunt joined us in the backseat while a teacher climbed into the copilot seat and his family of 4 squeezed into the bed of the truck. The teacher and his family climbed out at the crossroad to the community of Calatranca. He said the school runs through 6th grade with 3 teachers for 34 students. We finally reached the crossroads to Sanipaya. 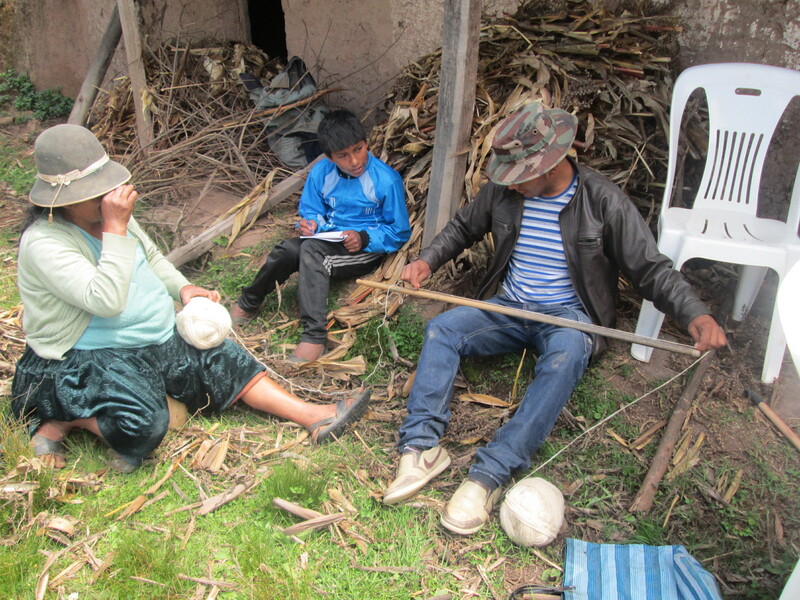 We headed down the mountain looking for Doña Beatris who splits her time between Sanipaya and Independencia where she is an active member of the Club de Artesanas (CdA). She had organized the other weavers and was waiting for us above the town center which is a school, health post, and stucco fabrication plant. She flagged us down from an abandoned farmstead her family had recently purchased. Although the adobe walls around the parameter, the adobe structures, and an adobe wood burning oven were in various states of disintegration, the setting was park like, tranquil, and perfect after the previous fun frantic days. Introductions were made as the other 3 weavers arrived. 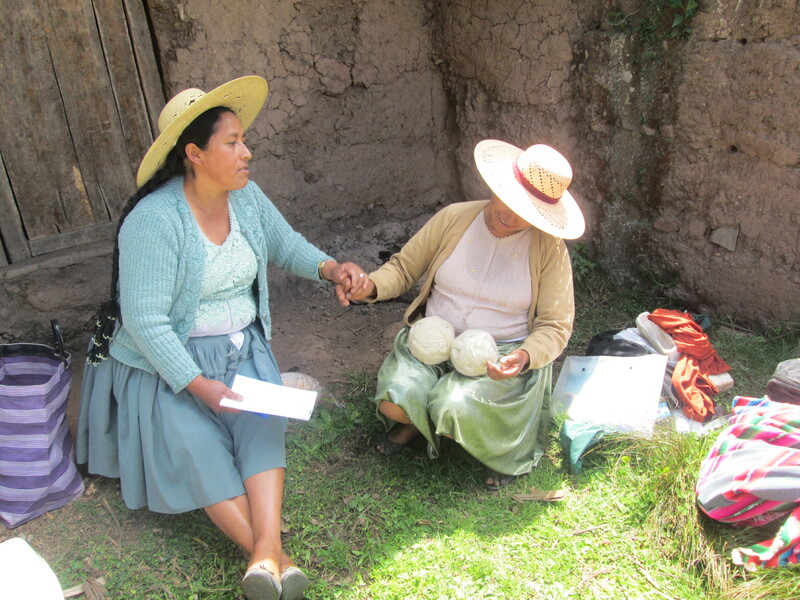 One was Doña Beatris´s mother who has helped Bea´s daughter Adviana, a CdA member, improve her weavings and sales. Samuel, our driver was a good sport and joind a measuring team. Bea´s adolescent son showed up and went to work as well. Two measuring teams formed and the now painfully familiar routine of measuring and counting, tallying, and rewinding the ball of yarn progressed quickly. 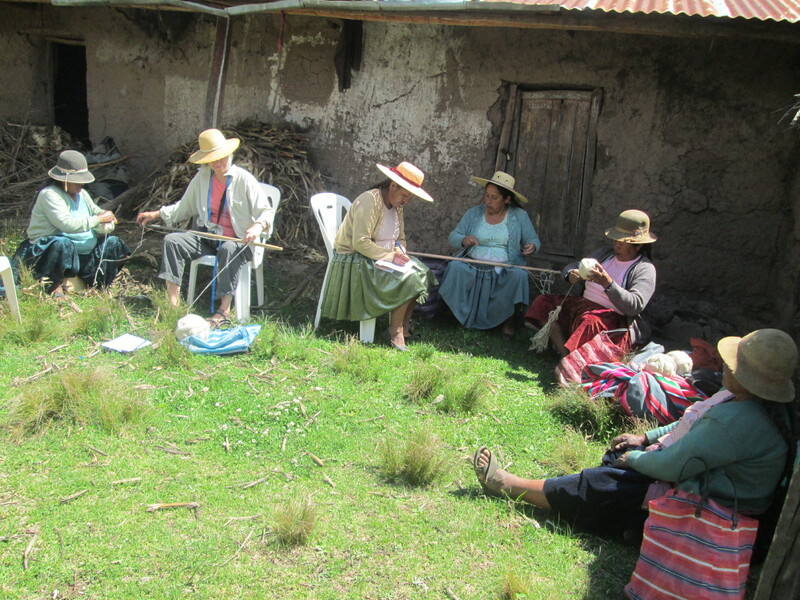 Upon wrapping up the measuring the balls of yarn, Doña Beatris invited all of us to lunch. 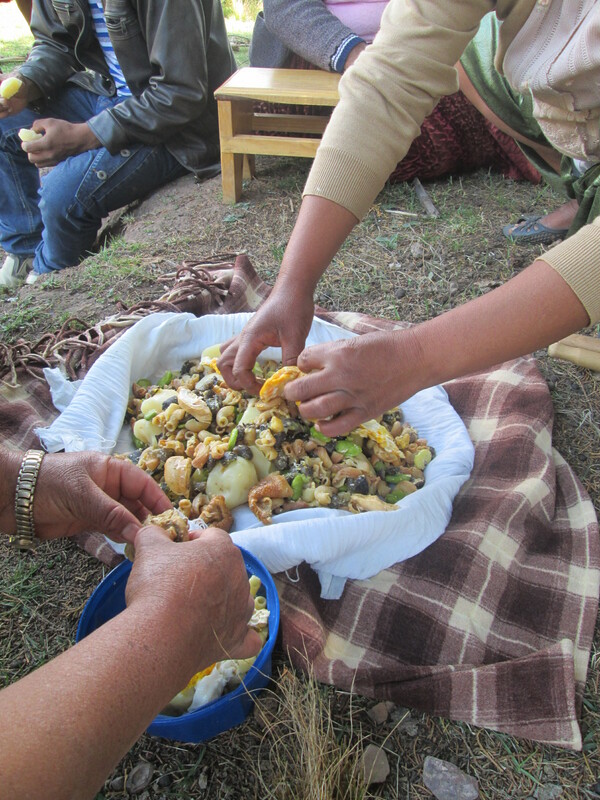 She unwrapped a cloth unveiling a mountain of boiled potatoes, noodles, chuño, fava beans, and topped with fried eggs. Doña Beatris and her son rode back to Independencia with us, we were all thankful for a rain free day and a dry road. 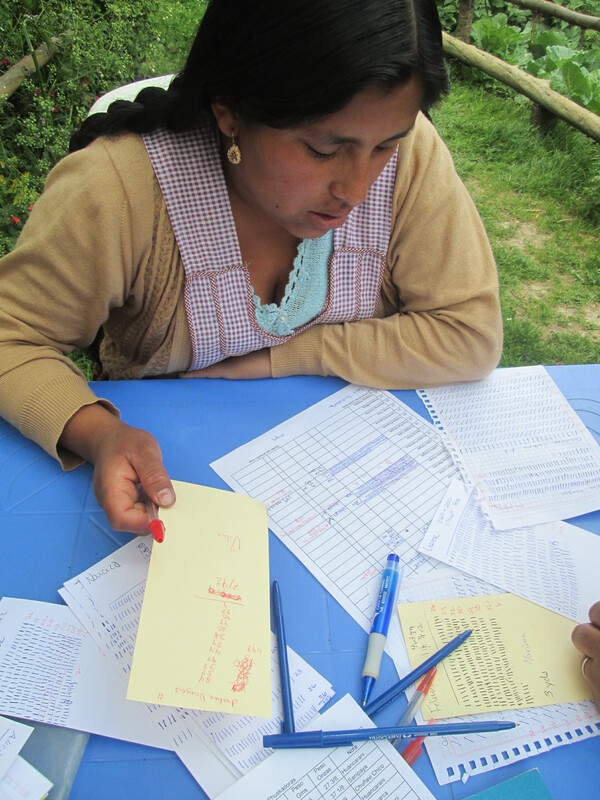 That afternoon I summed up all the tally sheets, printed off the results, and walked the 2 blocks uphill to consult with Team Captain, Doña Máxima. There´d been rumblings that not all had played by the rules, and unfortunately we had to disqualify two spinners. The yardage measurements were close, and the women have seen each other spin their entire lives. There will be future discussions over the results and problem solving for how to ensure all play by the rules in any future competition. 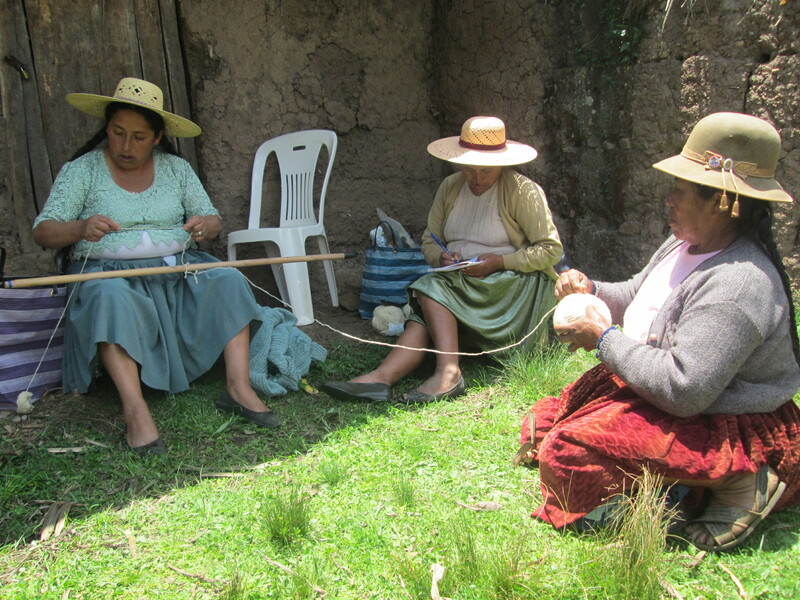 There is a law for the Development of Artesanía that was signed into effect in 2012. It states efforts must be made for the recognition of the talents and spirit of artisans. Spinzilla week was a perfect example of how that can be done. I´m not sure how the respect bestowed on the Team Warms Phuskadoras from other teams will trickle down to them since we live in an Internet-free zone for the most part. But, it was a joyful experience for them and empowering for many, especially the Captain and her informal committee of co-organizers. The Spinzilla organizers have offered to send certificates of participation which will make our December awards ceremony more official.